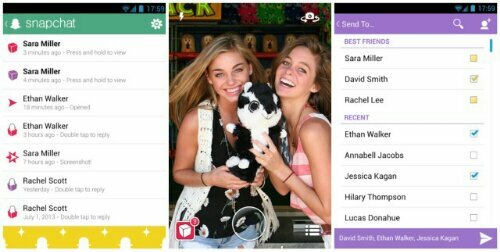 Snapchat for Android has been given an update today that cleans up the user interface and adds gesture based navigation. The new Holo UI looks very like the iOS version and the update has given the whole app a going over with nice visual improvements being made to conversation view and your contact list. The biggest change of all is the all new shutter button, at last the horrid blue bar is replaced with a nice clear bubble allowing you to get better snaps.